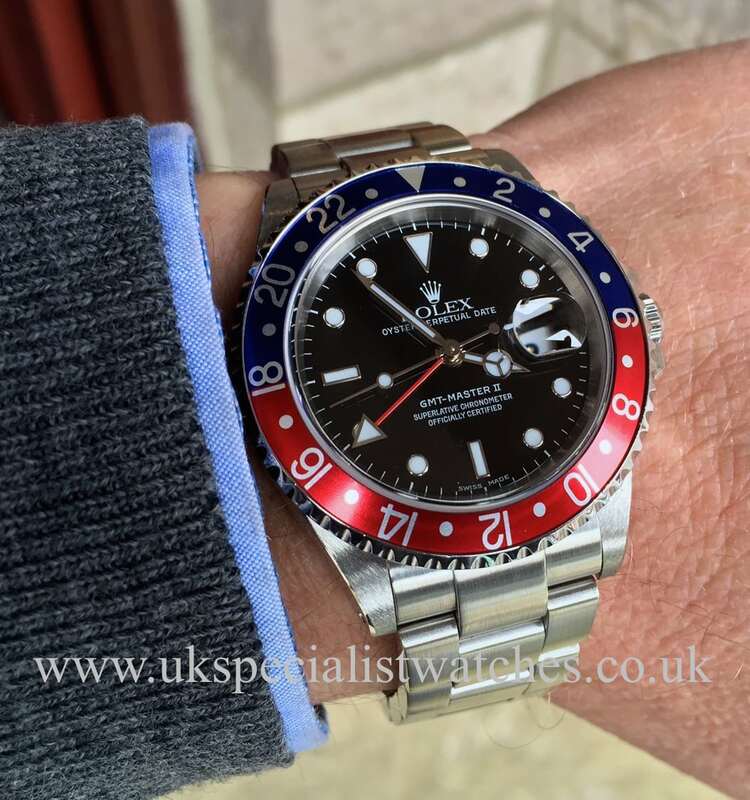 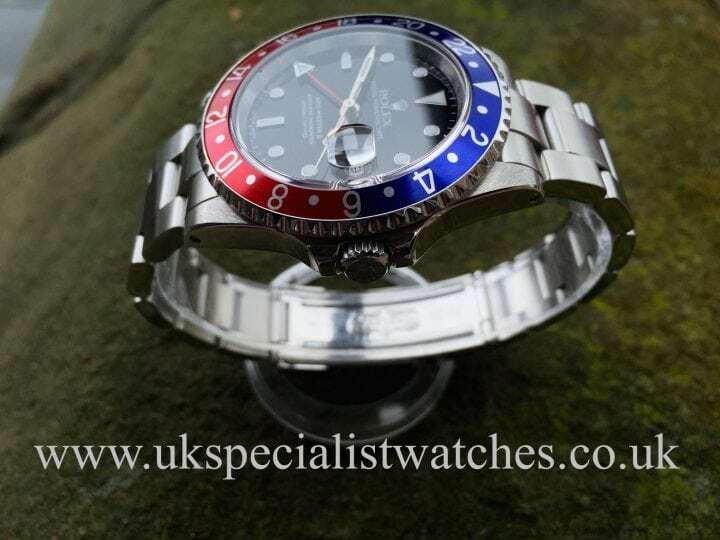 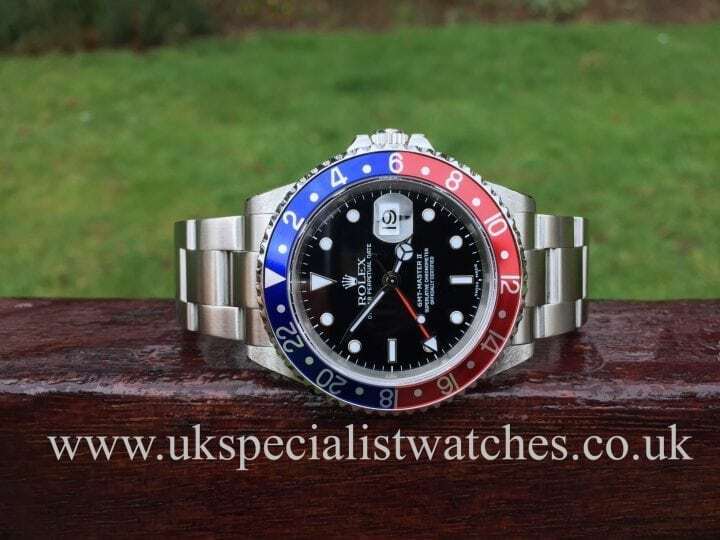 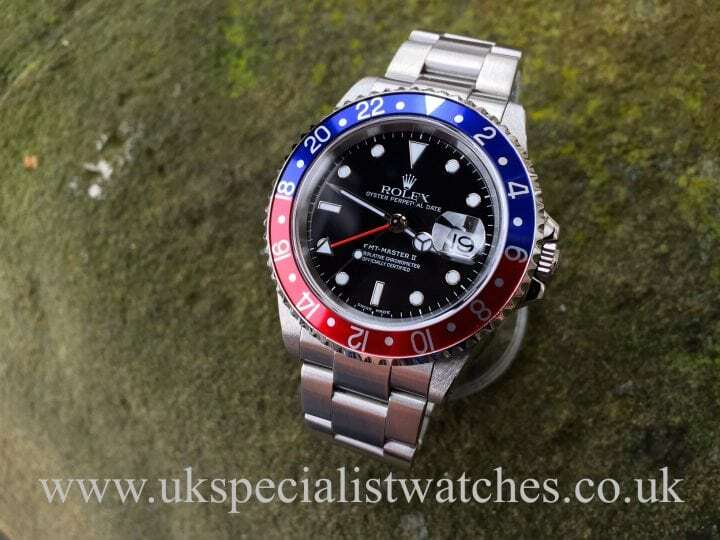 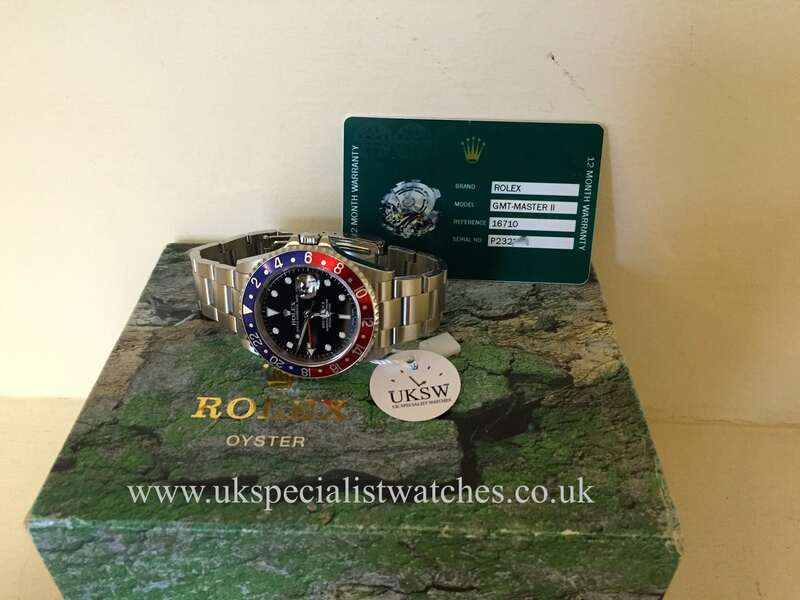 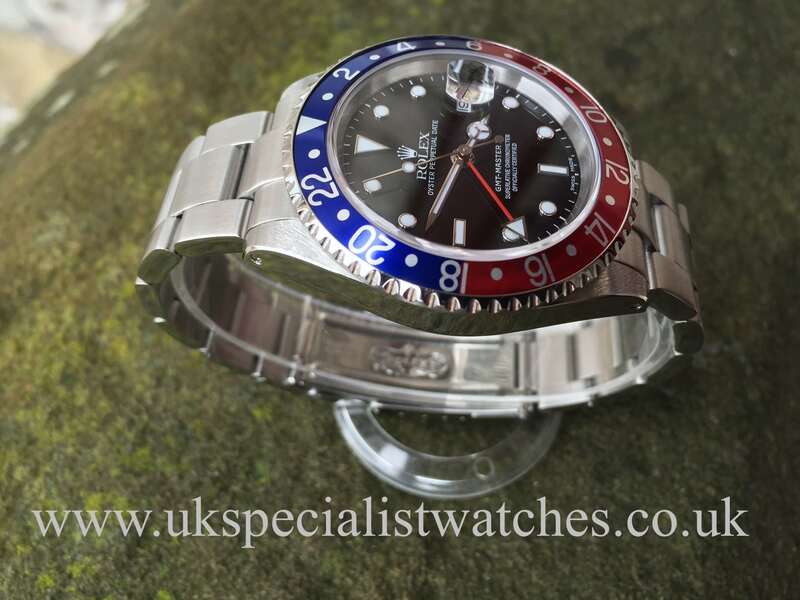 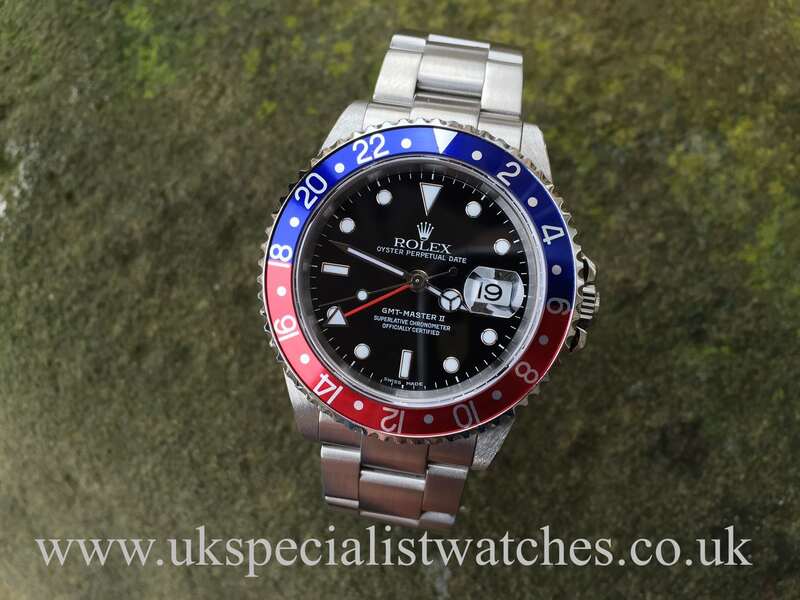 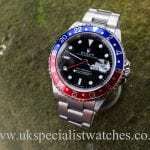 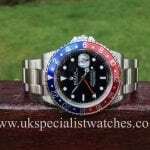 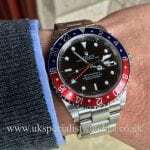 Rolex GMT 16710 with a pepsi bezel, nicknamed “the pepsi” due to its red and blue coloured bezel. 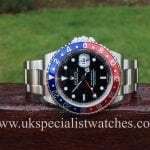 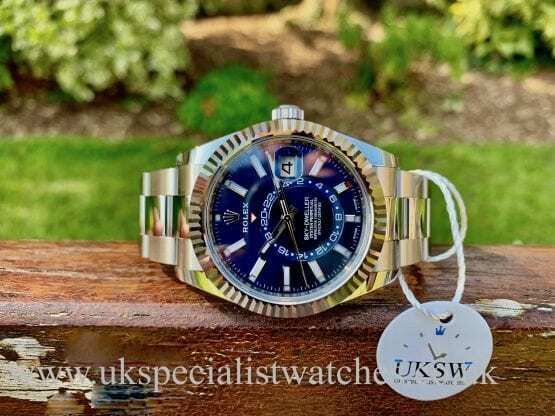 We have watched the prices of these popular GMT-Master’s increase hugely over the last 5 years and are continuing to do so! 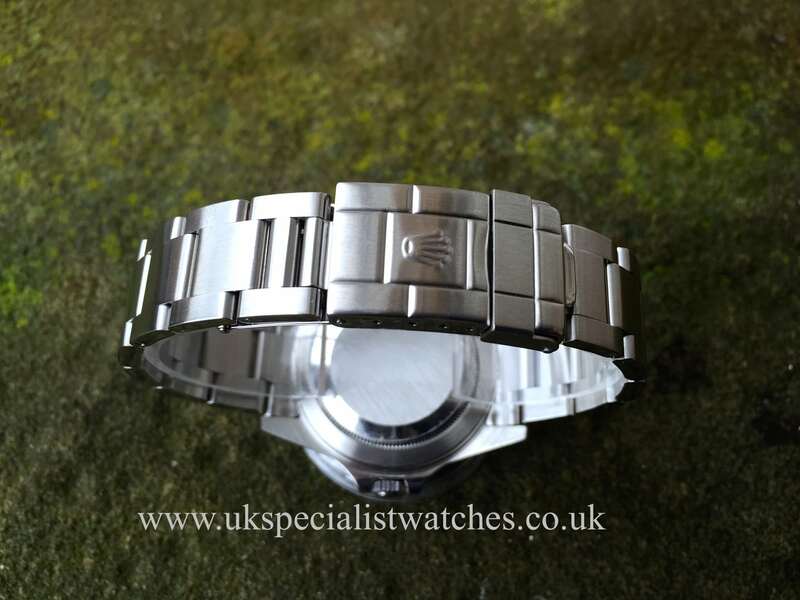 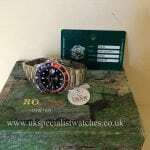 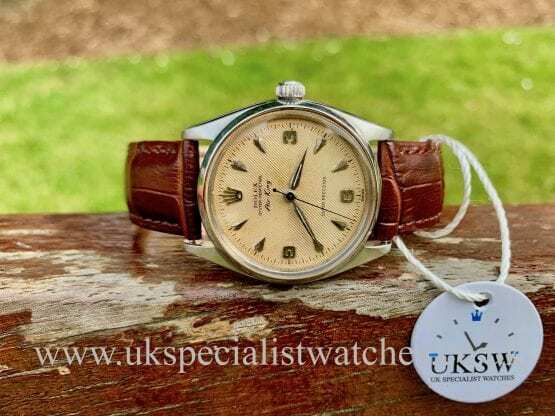 The 16710 model no longer produced and becoming harder and harder to get hold of. 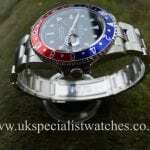 Sapphire crystal glass, water resistant to 100 mts, date displayed at 3’oclock. 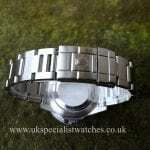 This absolutely immaculate piece still has visible chamfers on all 4 lugs. 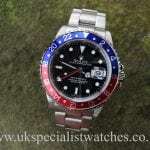 Supplied new 2000. P serial No. 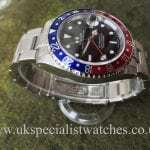 Comes complete with our 12 month warranty and just serviced.